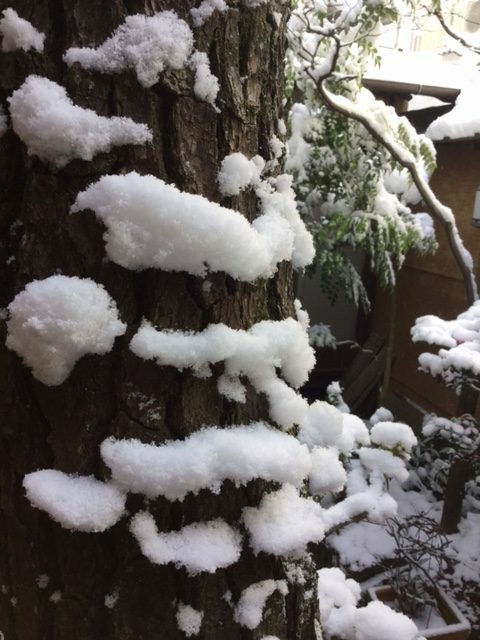 Green tour Kyoto | travel information in JAPAN » Blog Archive » Snow, snow, snow.. The New Year’s days this year were quite warm. I realized the global warming was really getting close to us. 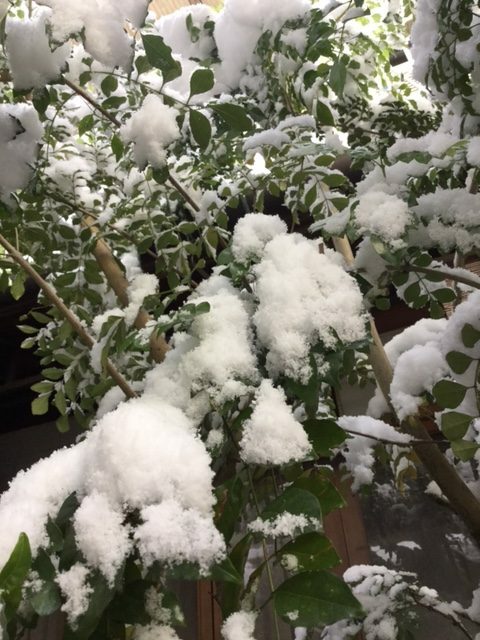 But last weekend, we experienced a record snow in Kyoto! Luckily it happened on weekend. If it was on weekdays, many people might have troubles when they went to the office or school. 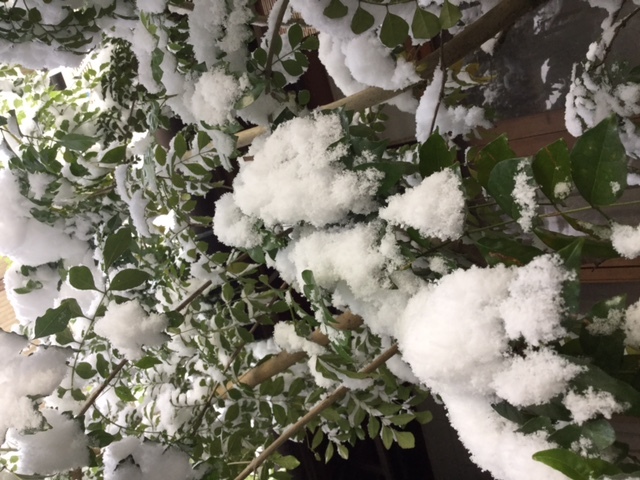 So, I took photos of snow in the yard and Imperial park. 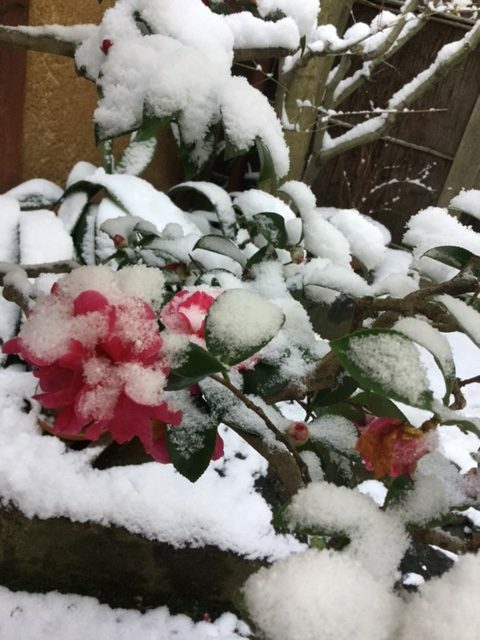 I can find snow on the bark like a Farther Christmas’s face! 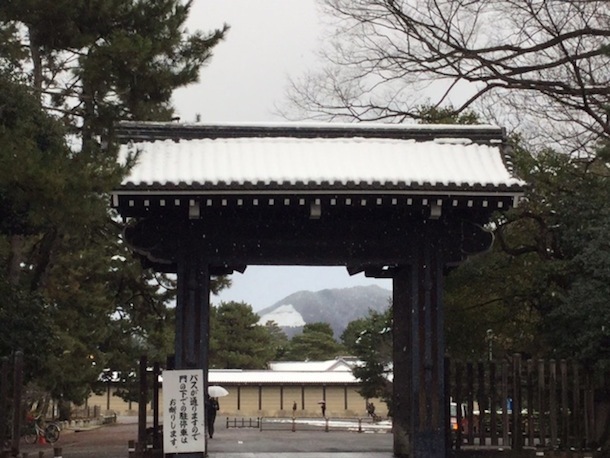 The white Daimonji Mountain naturally set in the gate of Imperial Palace. So cool! As many travelers know, the best place to shoot snowy Kyoto is Kinkakuji Temple. A friend of mine told me there were too crowded so couldn’t see the building at all..Maybe we have a chance once more to see them in this winter. Our hiking event will take place after the season of snow. We’re planning a fun and healthy hiking in early spring. See you then!